Sweden, whose citizen has been jailed by Eritrea for more than ten years without charge, has moved to block the flow of diaspora money to the isolated Red Sea nation. Its parliament, Riksdag, is preparing legislation to block a two per cent mandatory tax collected by Eritrea from its citizens living in Sweden. The Swedish parliament tasked its justice affairs sub committee to prepare a supplementary bill to support the decision following a recent debate on theproposal. “We are willing to take measures if current legislations cannot put a stop to this,” Mr Johan Linander, the deputy chair of the committee, told reporters after the parliamentary session. Some parliamentarians had referred to the technical challenge of enforcing such a decision without a suitable legal framework. 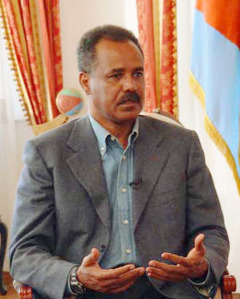 The decision would be a huge flow to the finances of Eritrea, which is already under United Nations sanctions for its alleged support of terrorism in eastern Africa. The taxes have been described in a UN report as the largest source of income for the internationally isolated Asmara government. Eritreans living in the diaspora are forced to pay the tax with failure to comply reportedly leading to a denial of entry back home and exclusion from government services.